Our design experience in multi-family project include single custom house, multi-story apartment building and high-rise residential towers. Reynold South Apartment Building, Richmond VA – 10-story, twin residential tower, 328k S.F. with 3-level of parking structure. 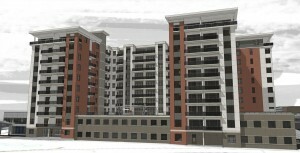 Project include over 60 townhomes, community center and senior apartment building.